Data center in Bluffdale • As critics lament wiretapping, private call records may be heading to the new facility. Artist's rendition of the National Security Agency's Utah Data Center at Camp Williams, Thursday, January 6, 2011. 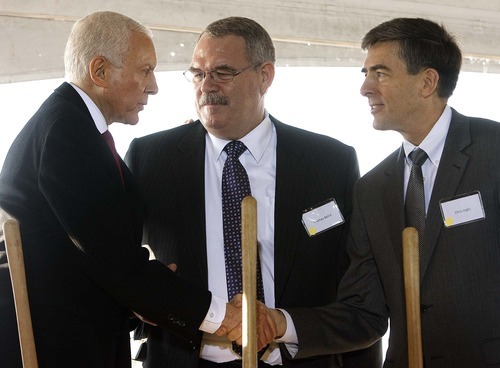 The cybersecurity facility is expected be completed and open October 2013. Trent Nelson | The Salt Lake Tribune John Inglis, Deputy Director of the National Security Agency, at the groundbreaking ceremony for the NSA's Utah Data Center at Camp Williams, Thursday, January 6, 2011. The cybersecurity facility is expected be completed and open October 2013. Trent Nelson | Tribune file photo Senator Orrin Hatch (left) shakes hands with John Inglis, Deputy Director of the National Security Agency, at the groundbreaking ceremony for the NSA's Utah Data Center at Camp Williams, Thursday, January 6, 2011. The cybersecurity facility is expected be completed and open October 2013. At center is Thomas Bell. 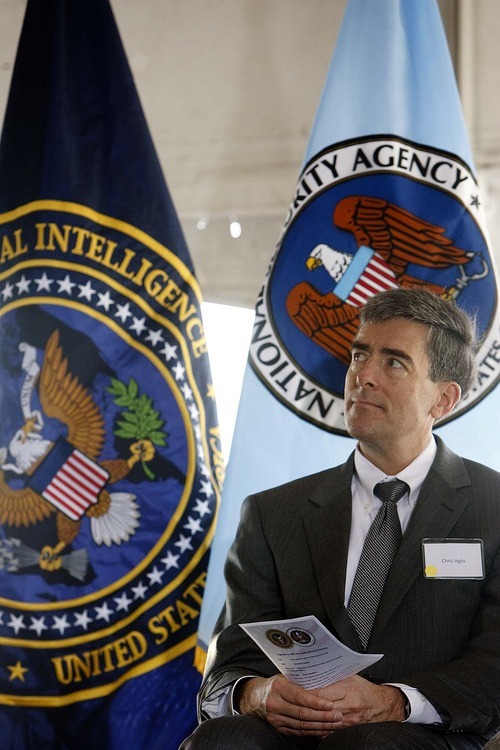 Washington • Phone records of millions of Americans could end up flowing into the National Security Agency&apos;s Utah Data Center this fall, though outraged members of Congress are already calling for the government to halt such a broad seizure of private information. Senate Intelligence Committee Chairwoman Dianne Feinstein acknowledged Thursday that the NSA had obtained secret court orders for seven years to collect records of calls placed or received on Verizon phones, and defended the practice as vital to national security efforts. "It&apos;s called protecting America," she said, responding to a report in the Guardian newspaper, which obtained and published a classified court order for Verizon to hand over all "telephony metadata"  info such as telephone numbers and the length of the call  from the United States to foreign countries and from domestic, local-only calls. House Intelligence Chairman Mike Rogers said the phone program had thwarted at least one domestic terrorist plot in recent years. But the revelation of the widespread snooping brought a swift reaction from those critical of the Foreign Intelligence Surveillance Court, a secret judicial body that issued the Verizon order. "The National Security Agency&apos;s seizure and surveillance of virtually all of Verizon&apos;s phone customers is an astounding assault on the Constitution," said Sen. Rand Paul, R-K.Y. The Utah Data Center, a massive data farm set to open this fall, is expected to cull billions of bytes of information for the nation&apos;s intelligence community, though NSA officials won&apos;t offer details about the information or how it is gathered. How broad? • Rep. Jason Chaffetz called the collection of domestic phone records "unnerving" and demanded answers from the White House and NSA. The Utah Republican noted that if there&apos;s a court order for Verizon, there are probably similar ones for other major carriers as well. That said, Chaffetz noted that the Utah Data Center is simply a place to warehouse information and the questions should be focused at the officials who decided to pry into the phone records. "The government has to have the ability to store data; it just depends where are they getting that data and what it is," Chaffetz said. "The fact that we have a storage facility unto itself is not as much of an issue as is what they&apos;re putting in there." 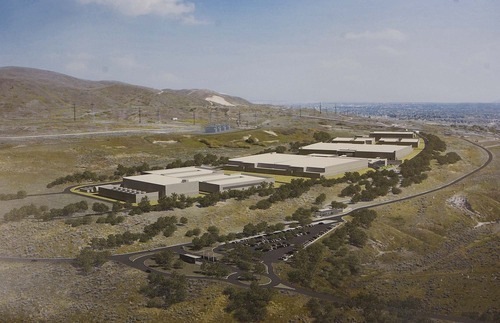 The Utah Data Center will be part of NSA&apos;s interconnected network that includes sites in Colorado, Georgia and Maryland, and since the Utah facility will be the largest, there is a good chance Americans&apos; phone call data could land in the Bluffdale site at least temporarily. "I wouldn&apos;t say I know it for a fact," says Steven Aftergood, director of the Federation of American Scientist&apos;s Project on Government Secrecy. But "when you build a facility of that scale, it&apos;s probably meant to be used, and the storage and processing of large volumes of collected data would seem to be a plausible use of this facility." White House Deputy Press Secretary Josh Earnest defended the program on Thursday, noting the intelligence community was authorized by a court under a federal law passed by Congress. &apos;Critical tool&apos; • The effort has been a "critical tool in protecting the nation from terror threats as it allows counterterrorism personnel to discover whether known or suspected terrorists have been in contact with other persons who may be engaged in terrorist activities, particularly people located inside the United States," Earnest said aboard Air Force One. Utah&apos;s two senators were split on the phone record news, though both demanded more information about the program. "The fact is that America has enemies and we need the tools to fight them," said Sen. Orrin Hatch, adding that the effort needs continued oversight and offering praise for the FISA court&apos;s balance between national security and privacy laws. Sen. Mike Lee co-sponsored an amendment to the FISA law last December that would have ordered the attorney general to report whether domestic communications had been collected; the proposal failed. Lee said Thursday he was "deeply disturbed" by the reports. "Overzealous law enforcement, even when well-intended, carries grave risks to Americans&apos; privacy and liberty," Lee said. "Members of Congress cannot continue to grant broad discretion to government agents and not expect these types of troubling outcomes." Lee Tien, a senior staff attorney with the Electronic Frontier Foundation, which has fought in court for years over spying on Americans, says the Utah Data Center will be a big reminder for residents about NSA&apos;s collection of their phone records. "I think it&apos;s a jarring thing for anyone, but especially for Utahns to the extent of having to see something that your congressional delegation said, &apos;Yes we want this here,&apos;" Tien said. "It&apos;s a little different for those who are in the state where it may be the case that the vast surveillance apparatus actually" is located. Patterns • This isn&apos;t the first time the NSA has been thrust into the spotlight for questions about broad domestic prying. USA Today reported in 2006 that the agency had been collecting phone records from major carriers to search for patterns that suggest terrorist activity. Administration officials stressed Thursday that only phone data was collected, and not the content of the calls. Still, Aftergood, the director of the Project on Government Secrecy, says the fact that the U.S. government for some time has been gathering records of Americans&apos; phone calls changes the "texture of American life." "It means that we are always under surveillance," Aftergood says. "Even our most private and intimate communications may be tracked by the government."